GMC and Chevrolet are injecting a healthy dose of power and fuel economy in their new 2015 models, including the Chevy Tahoe and Suburban and the GMC Yukon and Yukon XL. The 2015 Chevrolet Tahoe is one of several GM vehicles receiving upgrades to power and fuel economy this year. Each model has taken on a new and improved standard 5.3-liter engine, returning an EPA-estimated 16 mpg in the city and 23 mpg on the highway with two-wheel drive. This marks a hefty 7 percent city mileage improvement and an incredible 10 percent highway mileage increase, proving that even full-size SUVs can deliver on the fuel economy front. For consumers who desire even more power from their big machines on wheels, the GMC Yukon Denali and Yukon XL Denali now feature an exclusive 6.2-liter V8 that produces a whopping 420 horsepower and 460 pound-feet of torque! You won’t find higher numbers in a full-size SUV anywhere on the market. In two-wheel drive mode, that engine offers 15 city and 21 highway miles to the gallon. Considering the power, that’s quite good! 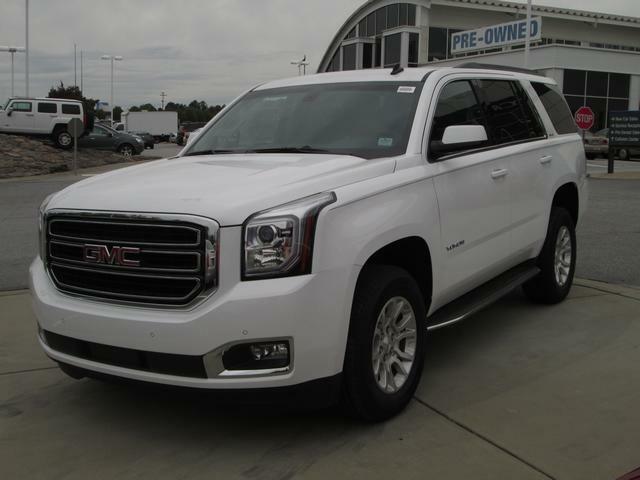 Find all of the vehicles mentioned above, plus other great new Chevy and GMC SUVs at Bradshaw Chevy Buick GMC Cadillac in Upstate South Carolina! One of GM’s biggest ongoing projects over the last couple years has been the complete redesign of the GM truck lineup. It’s been a massive and expensive undertaking, but all GM’s work is beginning to pay off. As of now, all the various cab models of the 2014 Silverado and Sierra 1500 series pickup trucks have earned 5-Star Overall Vehicle Scores from the NHTSA. 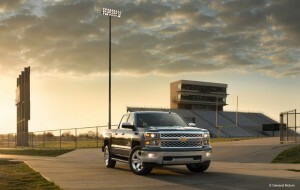 The 2014 Chevrolet Silverado and GMC Sierra earned 5-Star NHTSA Safety ratings this year. 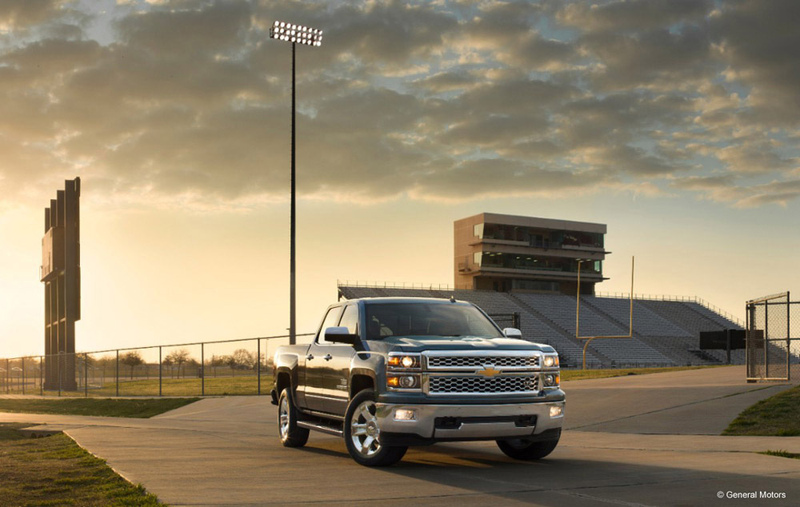 The new model editions of the Silverado and Sierra come with segment-exclusive safety features like Forward Collision Alert, Lane Departure Warning, and Safety Alert Seat. Plus, all GMC trucks are made from incredibly high-strength steel. If you’re looking for a truck that’s capable but also capable of keeping you safe, look no further than GMC’s newly redesigned trucks. And look no further than Bradshaw Chevrolet Buick GMC Cadillac when it comes to choosing the exact GMC truck that’s right for you. Join Bradshaw for Black Friday Sales! Bradshaw Chevrolet Buick GMC Cadillac welcomes you to visit our Greer, SC dealership from now through December 2nd to take advantage of great specials on new Chevy, Buick and GMC cars and SUVs! Take advantage of new Chevrolet vehicles like the 2014 Cruze this Black Friday! This Black Friday, Chevrolet is offering great prices on new cars like the 2014 Cruze LTZ, the 2014 Malibu LTZ, the 2014 Traverse LTZ and more! Interested customers can also take advantage of great prices on new 2014 Buick and GMC cars like the all-new LaCrosse, Enclave and Acadia. With the Chevy, Buick and GMC Black Friday Sales, “the price you see is the price you pay” – all cars are available as advertised! 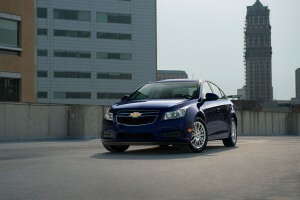 To learn more about current incentives on new Chevrolet, Buick, GMC and Cadillac cars, visit General Motors online! Bradshaw Chevrolet Buick GMC Cadillac wishes customers and Upstate South Carolina community members a great Thanksgiving and hopes to see many faces at our Greer, SC dealership this Friday! Be sure to head over to our website before the holiday to check out our great selection of new and used cars, trucks and SUVs. We also maintain an expert Service Department that can help keep your car in shape this winter. To stay up on GM news and Bradshaw events this holiday season, be sure to check us out on Facebook!